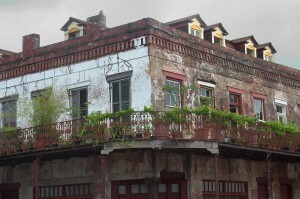 New Orleans is a city with much local flavour and the varied neighborhoods of the city certainly provide the spice that makes the Big Easy a unique location. Every one knows the French District, but the below listing will describe some of the other areas of the city that visitors can go to make their trip to New Orleans truly memorable. The most historic and well known area of the city is the French Quarter, which is also home to Bourbon Street, the never ending party spot that is synonymous with New Orleans night time fun. Set on the banks of the Mighty Mississippi River right in the heart of the city the French District is far and away the most visited area of the city. Visitors are drawn to historic delights such as Jackson Square – home of the St Louis Cathedral, the Cabildo and the Pontalba Buildings. The French District is also well known as a great place to listen to live music and eat a traditional Creole meal. To the north of the French Quarter is Faubourg Marigny, which is a neighborhood that many connect with what the French Quarter use to be decades back. Called the Marigny for short this district has loads of live music venues that put out fantastic jazz and blues till the sun comes up. Also known for having budget-friendly B&Bs, funky coffee houses and Creole style houses the Marigny has become a secret, and in many peoples eyes more authentic, Mardi Gras location. To the southwest of the French Quarter is Lower Canal Street which is New Orleans main shopping district. Once a thriving commercial centre, an economic downfall in the 1980’s took a lot away from Lower Canal Streets stature in the city. Tourists have found Canal Street again though as they look to visit the River walk Museum, the Audubon Nature Institute and the many hotels that are in the area. The central Business district is the heart of New Orleans business and commerce. Thriving during the day, but quiet by nightfall the Central Business District does not have a lot of reasons to bring tourists to it save the Louisiana Superdome. The Superdome is one of the largest stadiums in the country and the home of the New Orleans Saints as well as the annual Sugar Bowl College Football game.